Update: On November 2, 2018, using the DIY method, i successfully repaired the broken hardware of my MacBook Pro for $23.98 + tax. Drastic difference from the $400-500 estimate if i allowed the Mac Store folks to do it. At the end of this post i have appended what i did to fix the keyboard after i had exhausted the steps originally outlined in this post. Cheers. After returning from this past weekend’s WordCamp ATL 2018 — #WCATL — i opened up my MacBook and went to login, but nothing doing. No caps lock light, no input registering from any of the keys, and the trackpad wasn’t responsive. Crapht, was my first thought, i can’t afford to get replacement parts or to purchase a new MacBook right now. My next step was to hold the power button down for a few seconds. It turned off. So i knew that not everything was broken. From my past career as a computer and printer technician (man, i can’t believe that was 5.5 years ago! ), it was a good sign. I then did some scouring of message boards and got a few different scenarios and things to try from other freaked out customers. But nothing concrete until i received a reply back from my friend who’s an Apple Genius Technician: he said first thing to do was to see if i could get into the Boot Menu after powering on (holding the Option key at boot), and then then immediately try reseting the PRAM (i put the instructions below on how to do so if you want to skip ahead). Being my backwards-brain self at times, i did the PRAM reset first (did it until there were three chimes), attempted to boot normally, but still couldn’t login. Darn. Wait, let me try this Boot Menu thing. I did that, was prompted to connect to a WiFi network and to choose my hard drive. I didn’t notice at first that i was using the trackpad to navigate, but i typed with my bluetooth keyboard. Dawning on me trackpad worked i tried to use my laptop keyboard and that worked, too! Anyway, i’m not too sure which actually fixed it, attempting the Boot Menu or reseting the PRAM, but i’m currently typing this on my MacBook as i normally would. Also in my research i saw that PRAM fixed folks’ issues for only a temporary time, at which point they suggested resetting the SMC (System Management Controller). I shall try that if i run into issues again. Keys to reset SMC (make sure MacBook is powered off and power adapter is plugged in). Hold all four for 3 seconds, release (power light might change colour for a second). Then turn back on like normal. Anyway, below are directions on how to reset PRAM. 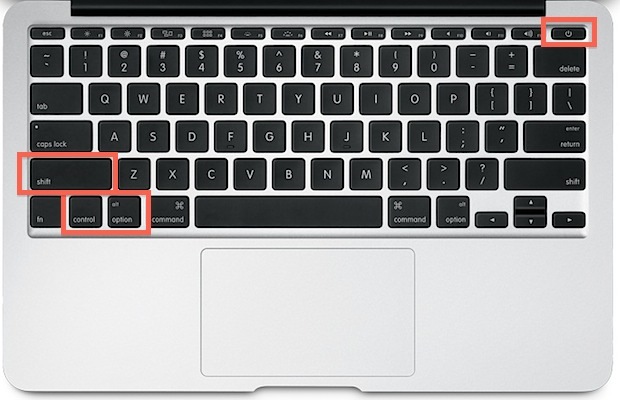 I suggest, however, before just hard shutting off your MacBook (by holding down the Power button for five seconds), you connect an external keyboard & mouse and shutdown the computer from within MacOS. This could help with preventing other problems with hard drive corruption or corrupting open files you may have in applications, especially if you’re like me and only shut down your computer every few weeks or months, instead keeping it in sleep mode. And immediately hold down Option + Command + P + R for about twenty seconds. During that time you’ll hear the Mac do its chime sound two times. Let go, continue to boot as normal. 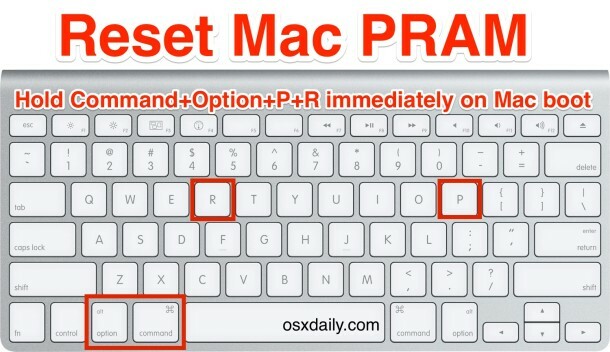 Thanks to OSXDaily for the image with the keys. I have a YouTuber – MAC111 – to thank mostly for this. I followed their video to the T on how to repair my MacBook. I went with my own supplies rather than their recommended items since they would have taken a few weeks to arrive. I purchased my parts from Amazon after reading some reviews and got my stuff in less than three days. The two links are my personal affiliate links, so if you buy those i get a commission. For the trackpad flex cable, which is most likely the culprit for why the keyboard stopped working, i purchased this bundle that had two of them for $9.99: 2 of Fangfei New Trackpad Flex Cable For Mac-book Pro Retina 13.3 inch A1502 Touchpad Cable MF839 MF840 MF841 821-00184-A/03 Early 2015. Regarding the flex cable, whatever you order, definitely get more than one. Good thing the one i purchased came with two because the first cable i tried (twice) didn’t fix the problem. When i swapped it out for the second in the set, it worked. I would’ve ordered from another company these cables if neither of them worked. All in all, for less than $30 and about 30 minutes of my time, i was able to fix my MacBook Pro keyboard and trackpad without going to the Mac Store. The estimate i got was around $400, so i saved a ton of time and money doing it myself.